The e-commerce market is heating up with a new competitor ready to challenge the supremacy of the Amazon. Reliance Industries owner Mukesh Ambani is piecing together a $2.5 billion strategy to take on the e-commerce giant in India. Ambani’s strategy involves a string of tiny acquisitions and stake purchases that would enable it to face the world’s largest online retailer. These acquisitions will create a team of talented people who will build later build a larger platform for its products. Ambani’s plans involves augmenting the ws2group’s unlisted businesses Reliance Retail and Reliance Jio Infocomm. He has already spent about $36 billion on Jio, which has rolled out a nationwide 4G network and fiber broadband infrastructure, causing some established rivals to pull back. Creating an immersive shopping experience through augmented reality, holographs and virtual reality, the platform will house millions of mom-and-pop stores that dominate the Indian retail market. Chains and large department stores account for only 10 percent of the market. It would enable small merchants to do everything those large enterprises and e-commerce players are able to do. 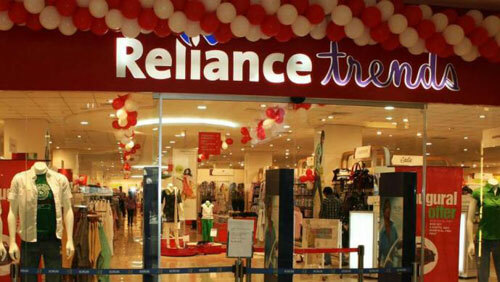 These acquisitions will also bolster Reliance’s network of partners. The group, recently announced its Rs 7 billion plan to buy and fund the expansion of Haptik Infotech, a company that provides customer support chat services using artificial intelligence. Another of its acquisition, Radisys Corp. will help Reliance to enhance its presence in the so-called Internet of Things and 5G in a bid to launch its broader e-commerce business, while the acquisition of Vakt Holdings help it to build a digital ecosystem leveraging block-chain technology. Grab a Grub will help Reliance deliver food, groceries and other merchandise using bikes as a delivery method in a hyper-local approach. Infibeam Avenues will help create e-commerce market places, Mint reported on its website. The combined value of these acquisitions doesn’t include a recently terminated 2017 deal by Jio to buy airwaves, towers and fiber assets for Rs 173 billion from younger brother Anil Ambani’s Reliance Communications. These acquisitions will help Reliance create a powerful digital economy ecosystem. Winning the support of its investors, Ambani’s e-commerce plans have boosted its shares by 48 per cent in the past 12 months. They have increased Ambani’s net worth by $9.7 billion this year to $54 billion. While Ambani takes on Amazon and Walmart, the e-commerce market is bracing up for a bigger battle. The government last year imposed restrictions on cut cash-back payments and discounts by bigger players who have been accused of predatory pricing by smaller players. To adjust to these rules, Amazon and Walmart have already removed thousands of products from their virtual shelves. They now need to redraw their contracts with merchants and brands besides gear up for an e-commerce policy that is currently being reviewed by the government. Doubts on success of Reliance’s latest venture seem immaterial as the initiative is being helmed by the same group that reshaped India’s telecommunications landscape with Jio two years ago. That approach led many rivals to retreat, including brother Anil’s Reliance Communications.